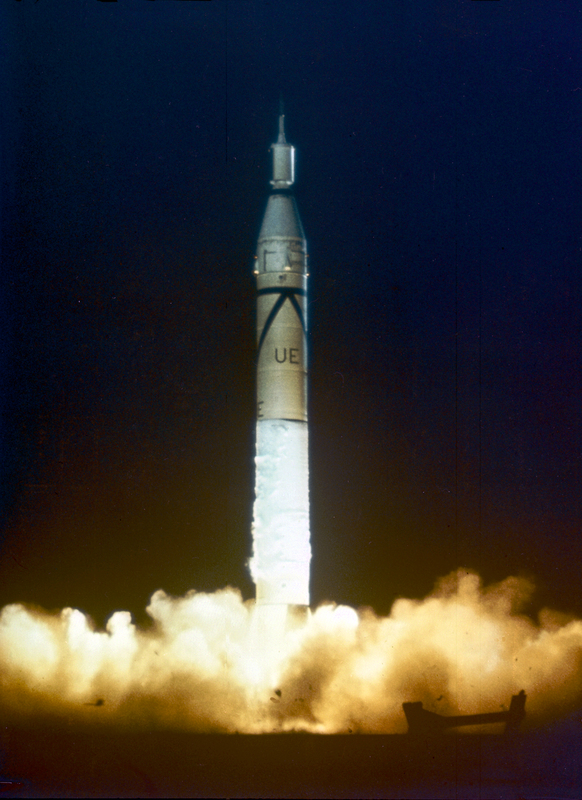 Explanation: Fifty years ago (on January 31, 1958) the First Explorer, was launched into Earth orbit by the Army Ballistic Missile Agency. Inaugurating the era of space exploration for the United States, Explorer I was a thirty pound satellite that carried instruments to measure temperatures, and micrometeorite impacts, along with an experiment designed by James A. Van Allen to measure the density of electrons and ions in space. The measurements made by Van Allen's experiment led to an unexpected and startling discovery -- an earth-encircling belt of high energy electrons and ions trapped in the magnetosphere now known as the Van Allen Radiation Belt. 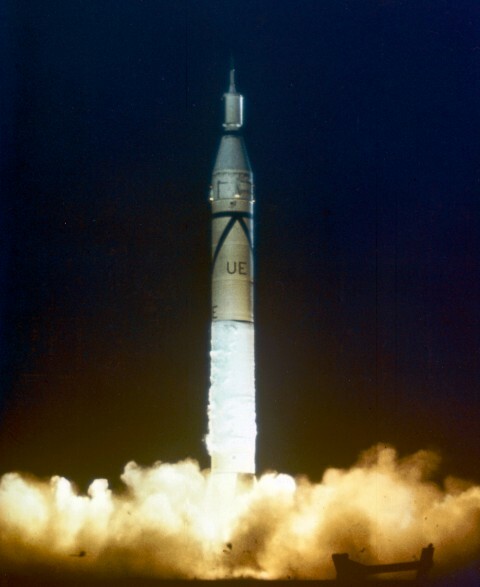 Explorer I ceased transmitting on February 28, 1958, but remained in orbit until March of 1970. Pioneering space scientist James Van Allen died on August 9th, 2006 at the age of 91.